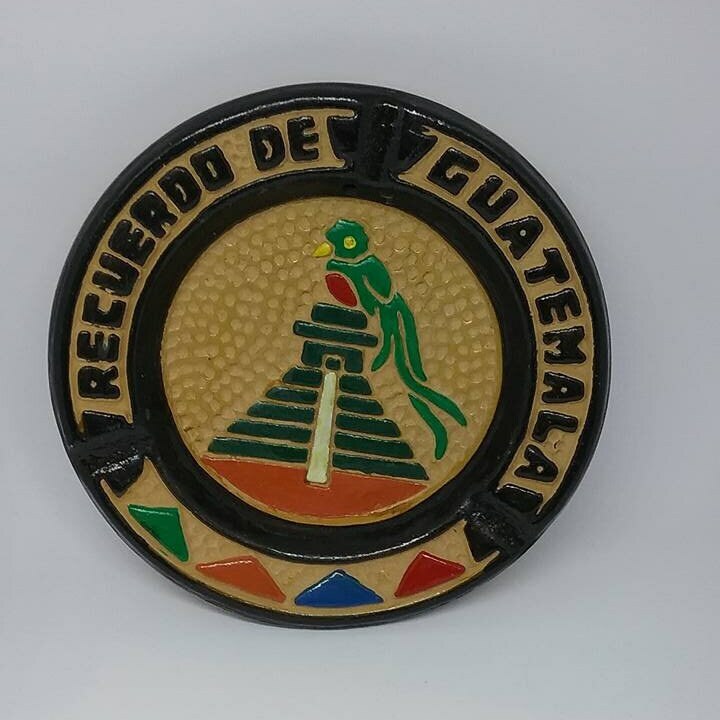 Vintage Recuerdo de Guatemala, Pottery clay ashtray. "Recuerdo" means, momento. 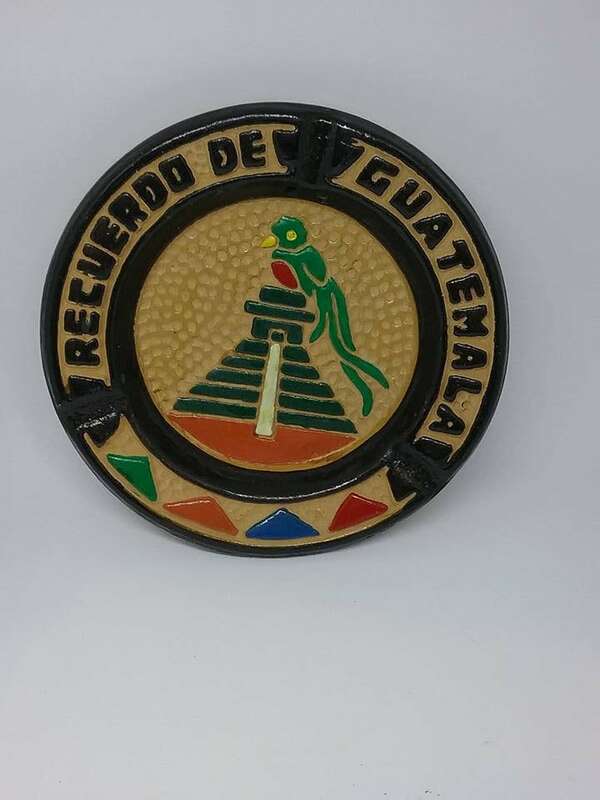 Guatemalan folk art ashtray, clay ashtray souvenir from Guatemala. 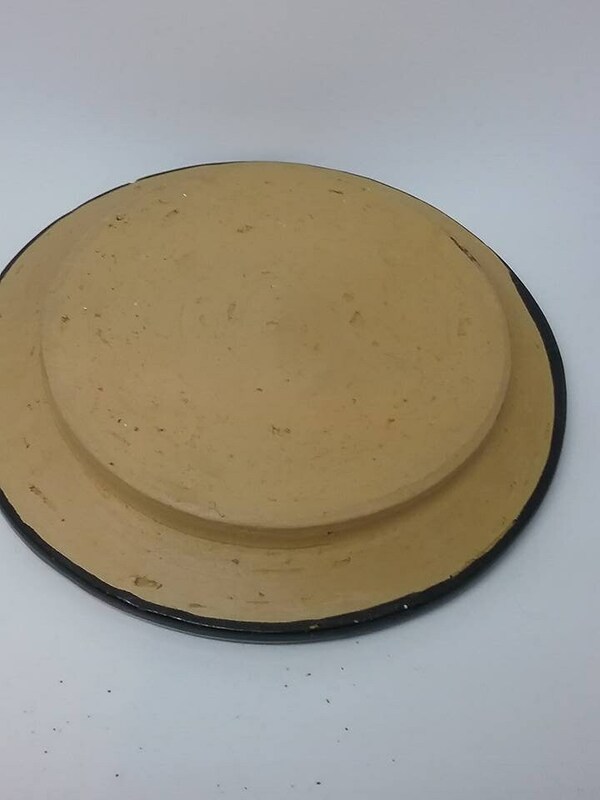 5" diameter. Triple grooved. The colors are stunning, as is the condition. 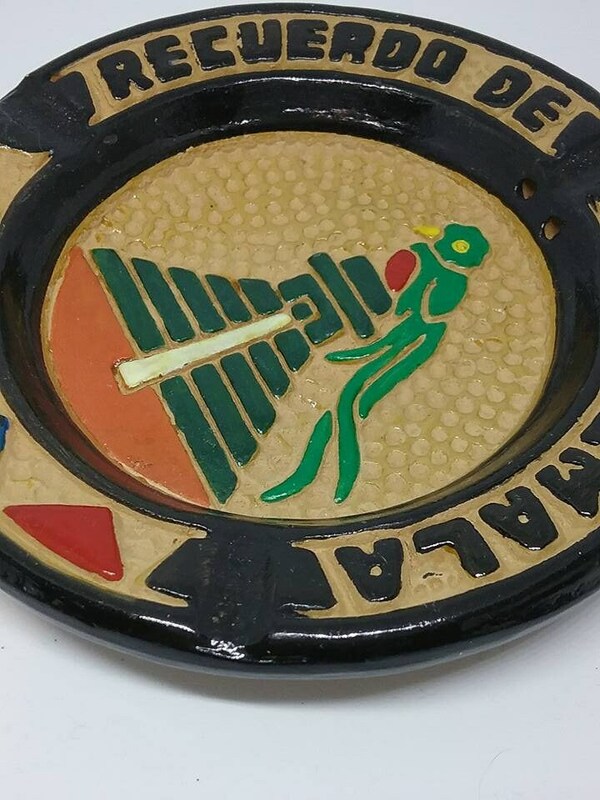 This makes for a lovely Tuscan style decorative piece for the home......soon to be collector item (ashtrays).